Manufactured and engineered in the USA - unique technology called Reflective Sound Cancellation™. The result is a drone-free exhaust system, delivering a pleasant sound at idle and cruise and a muscular roar at high rpm. 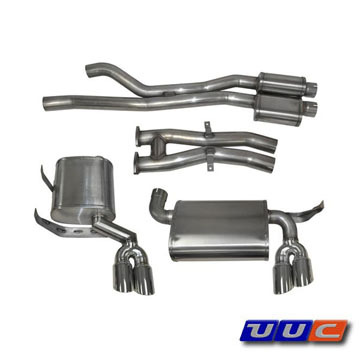 This exhaust for the M3 is an under-car system, replacing "Section 2" and the rear muffler. Rasp elimination is accomplished like our earlier 'Rasp-X' product. It does not replace the exhaust manifolds (M3 exhaust manifolds contain the catalytic converters - this exhaust does not affect emissions at all). 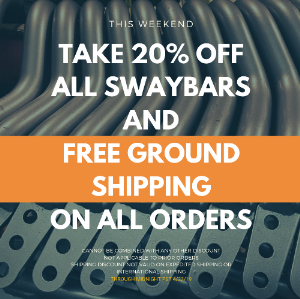 This system is 100% compatible with the European headers and under-car catalytic converters. The RSCE46M3 is fully emissions-legal in all 50 states. From Dan K of Atlanta, Georgia on 12/21/2009 . Tips: Quad polished, staggered, angle-cut ROUND tips - 76mm.